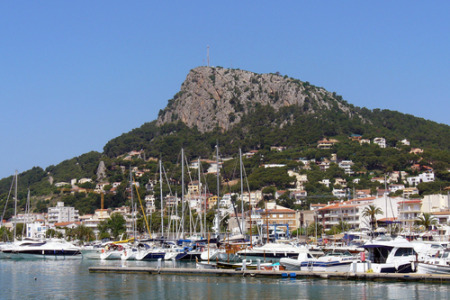 Estartit holidays take you to the northern end of the Costa Brava close to the French border. It is a charming resort framed by mountains and benefits from a choice of beaches. Holidays to Estartit can be taken from April until late October with temperatures rising from twenty to thirty degrees at the height of the season. With soft sandy beaches washed by the warm Mediterranean, it is no surprise that our cheap Estartit holidays are snapped up by families. A range of water sports will satisfy the more energetic visitor. The waters around the small islands of the coast are ideal for snorkelling and scuba diving. Holidays in Estartit can be as relaxed or as active as you wish as there are a variety of recreational facilities including golf and tennis, cycling and horse riding. If you wish to escape from our unreliable weather to a place where the sand is soft, the sea is warm and the people friendly, you may be interested in our bargain Estartit holidays. They are considered great value as our commitment to quality never wavers. With good accommodation, restaurants catering for all tastes, and shops for essentials, as well as gifts and souvenirs, our Estartit holiday offers are sure to please. Although there are some lively bars and discos, Estartit nightlife is fairly low key and is not a resort that parties until dawn. For further details and to discover our best Estartit holiday deals, please use the search facility.